Visit the La Purisima Mission Museum at the entrance of the park. Very well presented history of La Purisima Mission in Lompoc. It will only take you about 10 to 15 minutes to walk through it but it’s worth your time. Stroll through the La Purisima Mission State Park. There is plenty to see for adults as well as children. There is a large animal farm complete with chickens, pigs, cows, sheep and horses. In addition you get to see many rooms being restored with furniture and fixture from the Mission period. It’s very well done and realistic. Lots to learn for the kids. At the entrance of the La Purisima Mission State Park there is small museum located in the same building with the ticket office. We loved walking through this small museum that shows artifacts from the Mission era and clearly explains La Purisima Mission history. This is where you find out for example that the current location of the Mission is not the original location, but rather all the remains from the original Mission have been moved to the current location. Even our kids liked looking at all the pictures and artifacts. Mission bell at the La Purisima Mission museum. When you’re done seeing the small museum, just walk outside right into the Mission grounds. You can also purchase a small map of the place, but you don’t really need one. They reconstructed many of the Lompoc Mission buildings and placed all kinds of original furniture as well as artifacts resembling life in those times. Even though the artifacts are made of some plastic material, they are very realistic and paint a great picture of those times. Making candles the old fashioned way at La Purisima Mission State Park. We felt lost in time at La Purisima Mission. We really did! The reconstruction effort didn’t seem to make the Mission look more polished than it actually was. Everything is very simple and minimalistic which is exactly how people used to live in the Mission times. Various dried animal skins on display at La Purisima Mission. If you have children with you they will love all the animals on display throughout the farm. La Purisima Mission State Park breeds and uses all these animals everyday. They have chickens, pigs, cows, sheep and horses. Our kids loved walking around the pig pen and looking at all the chickens and the horses. Pig pen at La Purisima Mission State Park. Lompoc, California is a mostly unknown small town on the California coast. The one thing that puts Lompoc on the tourist map is the La Purisima Mission State Park. The easiest way to get to Lompoc is to drive on the 101 freeway. If you’re coming south on the 101 then the easiest way is to exit at Buellton and take Highway 246 to Lompoc. If you’re coming north on the 101 freeway I like to go left right past Gaviota after Santa Barbara and follow Highway 1 all the way to Lompoc. Highway 1 winds its way through beautiful hills on its way to Lompoc. This makes for a scenic drive. Map of Lompoc, California and surrounding area. Is it worth visiting La Purisima Mission State Park in Lompoc, California? This was a great spot to stop in. It took us about three hours to visit the museum and walk around the entire Mission grounds. We loved it! Our kids really enjoyed all the animals on the property and were surprised by a lot of the things they have seen inside the rooms. Visit the La Purisima Mission State Park website for more imformation. 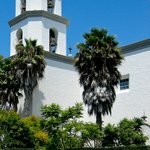 Mark…I have visited the old mission in San Juan Capistrano…but not the mission in Oceanside…maybe on one of my future trips to San Diego. Thank you for the suggestion! 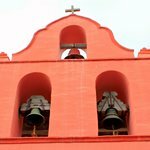 Nice article and great place to visit indeed, have you ever been at Oceanside mission – Old Mission San Luis ? It’s great place too.